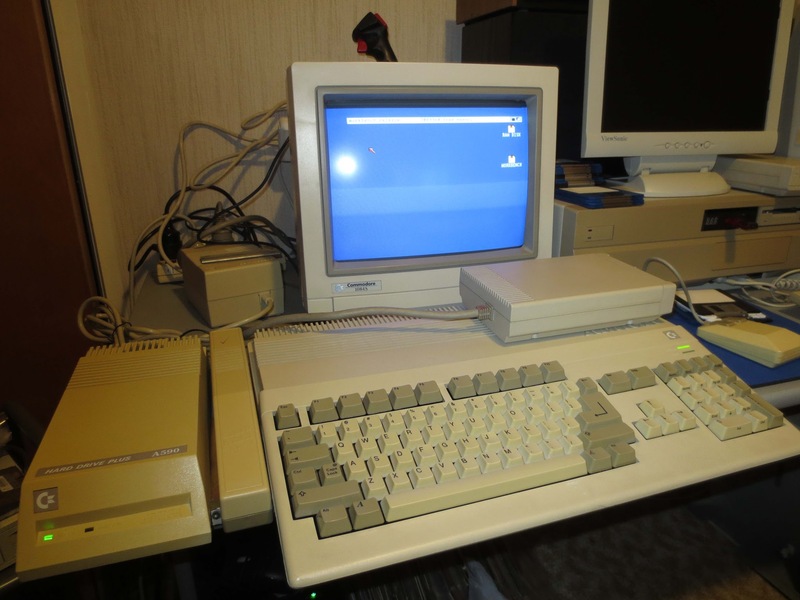 The Supra RAM 500RX is a RAM expansion for the Amiga 500 as the name would suggest. The 500RX plugs into the expansion port on the side of the A500 and increases the Fast RAM from zilch to 0.5, 1 or 2Mb configurations using 256K x 4 ZIP DRAM or 2,4 or 8Mb configurations using 1Mb x 4 ZIP DRAM. 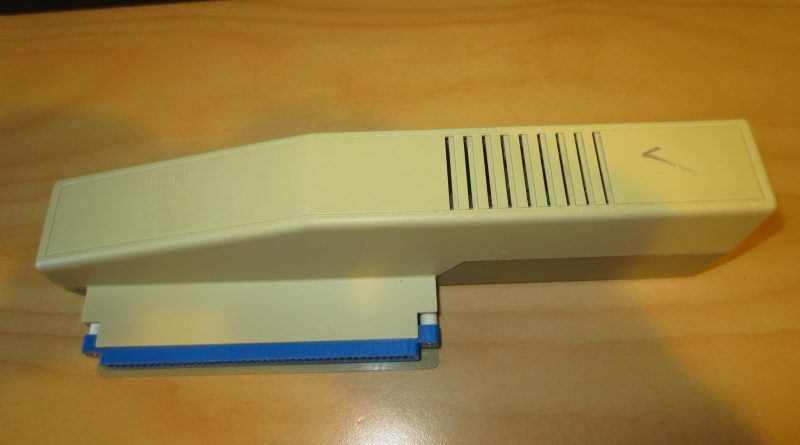 The RAM can be enabled or disabled by flipping the switch on the back of the 500RX case and rebooting. Some games and software do not work well with the extra RAM so it’s handy to have the option of disabling it. The 500RX also allows plugging in of extra peripherals via its own built in expansion port. If extra peripherals are plugged into the 500RX then the power draw may be high enough to require a power supply be plugged into the 500RX to make up the shortfall in power. The manual says this would be unlikely. A disk is provided which includes some documentation and a RAM test utility. 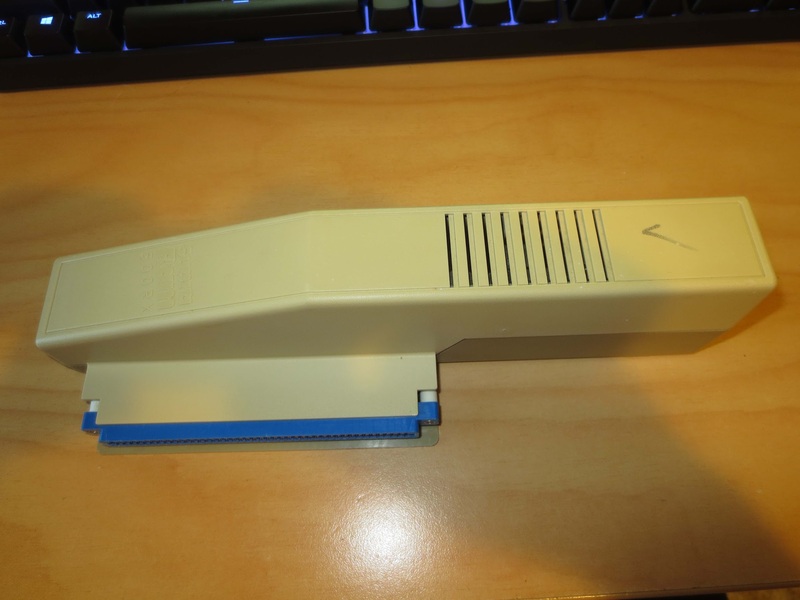 My particular module came with 1Mb RAM installed. I removed the 4 x 256Kb chips installed and installed 16 x 512Kb chips that I found in my stash and ran the RAM test but it failed nearly instantly. I noticed there were two types of RAM when I was installing them but because they were packaged together I assumed they were compatible. After looking online I found they were different speeds, one lot 70ns and the other 80ns. When I removed them I also found a loose pin on one and it fell out when I tried to straighten it so that would definitely have contributed to the issue. I tried RAM of the same type; just 4Mb and the test failed again. In another box I had lying around was 4Mb RAM so after installing just 2Mb of this the test passed so I installed the remaining 2Mb and the test passed again so I’ll run with 4Mb. 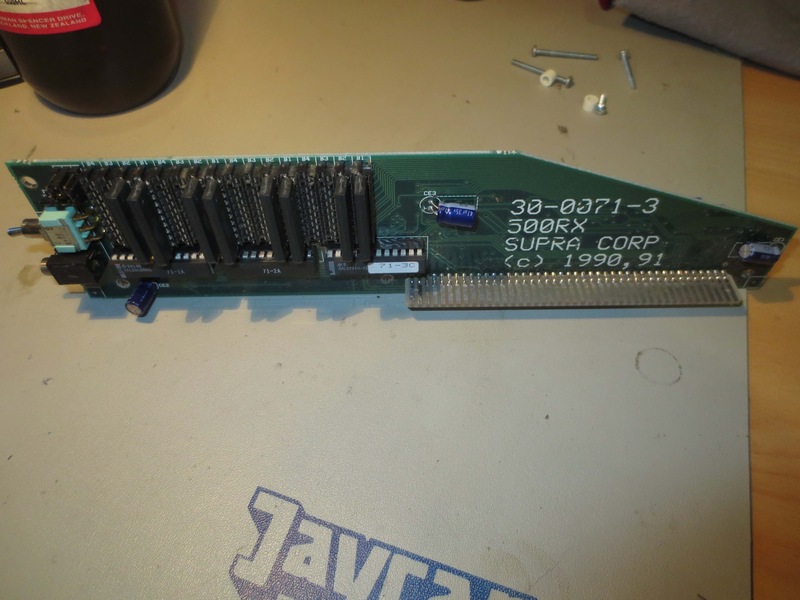 The RAM is arranged in the same manner as the A3000, in banks. The first 2Mb goes in bank one and the remaining 2Mb goes in bank two, four chips for each bank. There are four banks total. 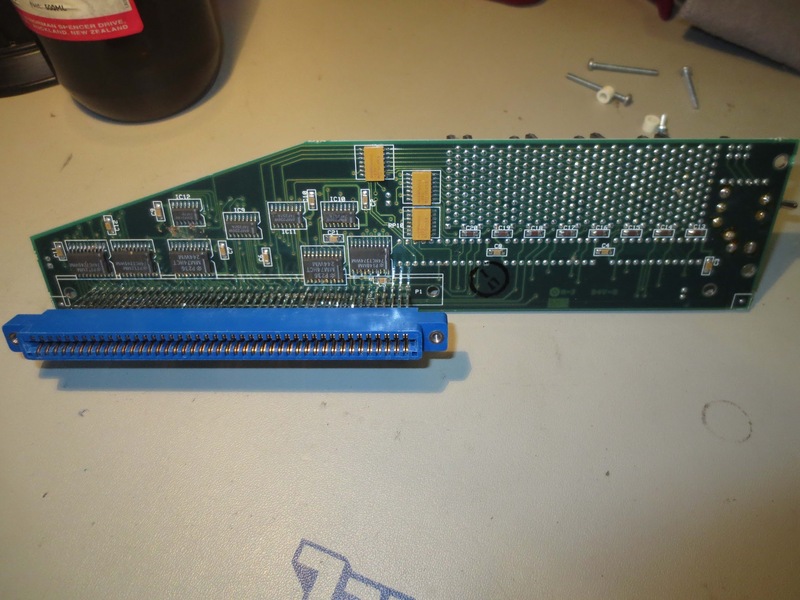 When I plug in the 500RX and the A590 hard drive add-on, this Amiga 500 will have a total of 7Mb RAM installed. 4Mb fast RAM (500RX), 2Mb fast RAM (A590) and 1Mb chip RAM (A500 internal). With a lot of RAM available you can configure workbench to load programs into RAM, therefore the computer does not need to look to the drives thus speeding up program loading. I'd be curious to know how many systems with this kind of spec were around back then. If the figure reached double digits I'd be amazed. How about a now and then shopping cart price breakdown for these mega-systems? I think that could be an eye opener. At the price point for all these accessories surely you could have just gotten one of the tower systems, I'd wager. I wasn't even aware of the RAM add on back in the day but I remember a friend's brother had the A590 and I was very envious. I can't remember the cost but it was up there. I agree it would be very interesting to see what they cost in the day and adjust for inflation. The old magazines would be a good source of info. I was thinking more in terms of what the setup would cost on eBay today compared to the new cost way back when, but the prices adjusted for inflation could be interesting too.